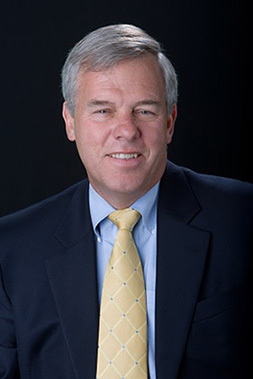 Randy Wise has spent his entire professional career in the automotive industry. Growing up in Waterford, it was a business that always appealed to him. Upon graduating from the University Of Michigan in 1970 he jumped right into the Auto industry with a wonderful working relationship with Al Serra. In 1989, he took over his first store in Flint with Chevrolet! Randy has been instrumental in over 50 local and national charities such as Easter Seals, The United Way, Athena International, Fenton Community Center and Hurley Hospital. Randy has made a strong commitment to improving the Flint area, working with numerous schools in the county. In addition, he is a significant contributor to The University Of Michigan in Ann Arbor. People, attitude and fun are what truly make this business work, according to Randy. Once you have the right people with the right attitude, everything else falls into place. No company ever succeeded on negativity, and Randy constantly pushes this message across all of his dealerships. Chris Wise grew up in Grand Blanc where he attended Holy Family School from K-8. He graduated from Grand Blanc High School in 1996. After graduation, he attended the University Of Michigan Ann Arbor Business School, graduating in 2000. After working in the Investment Banking field in Chicago, he moved back to Michigan to work with Randy. Shortly after his return to Michigan, he completed the National Auto Dealer Academy in 2005. 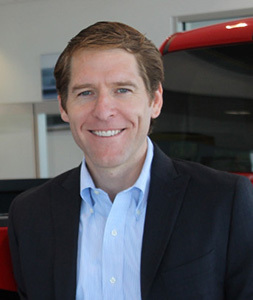 On top of being the Vice President of our Automotive Group, he has held positions in all phases of the dealership. Chris previously ran the Lincoln/Hyundai dealership and the Chrysler, Dodge, Jeep & RAM store in Clio. He currently sits on the board at The United Way of Genesee County, the board at The Boys & Girls Club of Greater Flint and on the board of the Flint Cultural Center Corporation.